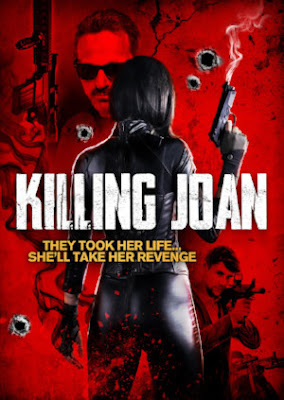 Joan Butler is an implacable spirit out to bring down the mobsters that left her for dead in writer/director Todd Bartoo’s highly-anticipated and unique unification of The Crow and Death Wish "Killing Joan" – released this April from Uncork’d Entertainment. Joan (Jamie Bernadette, All Girl’s Weekend, I Spit on Your Grave: Deja Vu) is an enforcer known for her ruthless tactics and wild abandon. After she is double crossed by her boss and left for dead, she becomes a vengeful spirit and is doomed to wander the Earth until she is able to take down the men that attacked her.